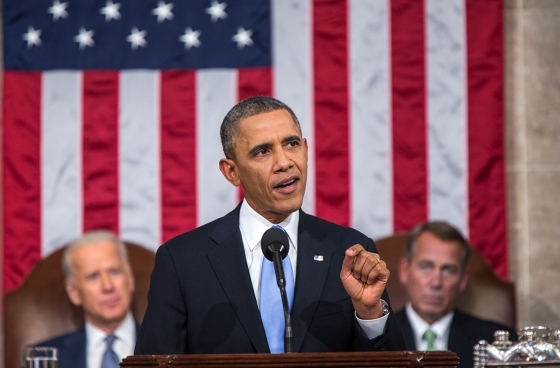 President Barack Obama will give his 2015 State of the Union Address to the United States Congress today. From a budget standpoint, here is a brief rundown of the major topics that the President will cover in his address. President Barack Obama will ask Congress for as much as $68 billion more than current budget limits in fiscal 2016, according to two people familiar with the administration’s proposal. That $68 billion would be on top of the baseline amount of spending for the federal government’s 2016 fiscal year of $4.011 trillion that President Obama had previously agreed to spend in 2016 as part of the Bipartisan Budget Act of 2013 and would represent roughly a 1.6 percent increase over the total amount the U.S. government’s planned expenditures for the year, and about 7 percent over just the discretionary portion of the federal budget. President Obama proposes to equally split the new spending between defense and non-defense spending, most notably to support his recent proposal to make the first two years of classes at the nation’s community colleges tuition-free, even though it would carry a high cost of a minimum of $80 billion over 10 years, of which at least $60 billion would be paid by the federal government. 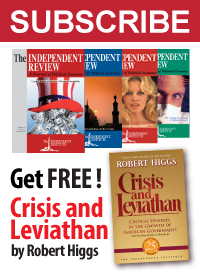 The Congressional Budget Office’s 2014 projections of federal spending and revenues indicate that it will not be until 2020 that the federal government’s revenues would finally exceed President Obama’s proposed spending for 2016 ($4.079 billion). The president’s plan would raise $320 billion over the next decade, while adding new provisions cutting taxes by $175 billion over the same period. The revenue generated would also cover an initiative Mr. Obama announced this month, offering some students two years of tuition-free community college, which the White House has said would cost $60 billion over 10 years. The centerpiece of the plan, described by administration officials on the condition of anonymity ahead of the president’s speech, would eliminate what Mr. Obama’s advisers call the “trust-fund loophole,” a provision governing inherited assets that shields hundreds of billions of dollars from taxation each year. The plan would also increase the top capital-gains tax rate, to 28 percent from 23.8 percent, for couples with incomes above $500,000 annually. Those changes and a new fee on banks with assets over $50 billion would be used to finance a set of tax breaks for middle-income earners, including a $500 credit for families in which both spouses work; increased child care and education credits; and incentives to save for retirement. The “trust-fund loophole” was created back in 2010 by the then Democratic-party controlled Congress and signed into law by President Obama on December 17, 2010. It applies to property, such as shares of stock or real estate like homes or farmland, that is passed down from one generation to the next, where the value of the assets has increased dramatically over time, potentially exposing the people inheriting the assets to massive capital gains taxes. The “loophole” works by allowing the original purchase price of the assets to be “stepped-up” or reset to be equal to the current day’s fair market value of the property at the time of the owner’s death, which reduces the apparent amount of the capital gain on it. Not to mention the related taxes on capital gains, the tax rates for which President Obama also proposes to increase substantially. For example, assume Farmer John owns 1,000 acres of ground that he purchased in 1960 for $100,000. That ground is now worth $10 million. When Farmer John passes away, his heirs will be able to sell the ground for $10 million and pay no income tax. Under President Obama’s proposal, Farmer John’s heirs would still have an income tax basis of $100,000. 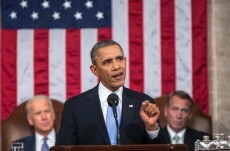 In addition, President Obama wants to increase the top capital gains tax rate to 28%. Let’s assume that Farmer John owes the 40% estate tax on all $10 million of value. In addition, let’s assume that Farmer John lives in Washington state with a top estate rate of 19% which lops off another $1.9 million, however, this would reduce the federal estate tax liability by $760,000. We now have total estate taxes of about $5.14 million. The heirs all live in California and elect to sell the farmland for $10 million. This results in about $2.8 million of federal tax plus about $1.3 million of California tax. Let’s call it $4 million. the bottom line is $5.14 million of estate taxes and $4 million of income taxes. On $10 million, the heirs net about $900,000 or less than 10%. This is President Obama’s definition of a “trust fund” loophole. Note that the proposed closing of the “trust fund loophole” doesn’t even take inflation into account. 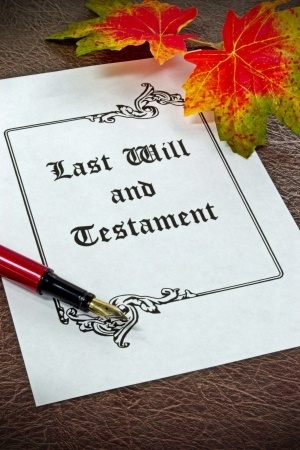 And it applies only to assets that have appreciated in value — there’s no tax credit to cover inherited assets that have lost their value over time. Nor does it consider whether the people inheriting the assets can afford to pay the estate taxes out of pocket, where if they cannot, that fact alone might force them into selling the assets, triggering the even larger tax bill described by this worst case, but very real, scenario. That’s an excessive amount of pain for a proposal that doesn’t even make much of a dent in the nation’s projected deficits, which would still be set to continue into the far future, perpetually adding to the nation’s debt. It occurs to us that the biggest problem that is inherent in having allowed the federal government’s spending to swell to the gargantuan levels as President Obama has proposed in each year preceding and during his tenure in office is that the things the federal government has to do to keep up the illusion that it can afford to spend that much becomes worse and worse for the people who are destined inherit the bill. Which if President Obama’s proposed loophole closing is any indication, will be an ever increasing share of the American population.